I didn't sleep much last night. You need to know that first so you will forgive any rambling or errors or whatever. I decided that I want to reduce my dependance on ambien because 1. it's so expensive and my deductible reset at midnight last night and I now have to pay the first $2500 of medical expenses this year and 2. my goal for this year is "better living without pharmaceuticals". I figured a 3 day weekend was a great opportunity for a sleep reset... except... the problem is... I was up until 3am. When I first left Michael and moved up here I tried getting off ambien and slept very little for about a week before I quit quitting. The problem was that every time I would start to drift off to sleep, I would have some kind of near death flashback and it would jar me wide awake. Since then there have been so many adjustments and obligations and I've just never been in a place where I could afford to go without sleep. Not that I can now either, but it is a 3 day weekend. I'm going to give it until Sunday night. Which means I may be a real crabby patty for the next few days... but in the end... it will be worth it. 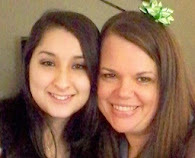 One of the gifts I got for Christmas was dinner and a movie with my sweet sister-in-law Angie. I would probably say that Angie is one of my best friends in the whole world, if not my best friend. She loves me like very few people do, so unconditionally... she's such an incredibly successful woman - she has a doctorate in education, she's a talented worship leader and a wonderful wife and mother and as of today she's chairman of her department at the college - and she's not even 40 yet! And... she's been very successful with Weight Watchers over the past year - making lifetime member and keeping the weight off! She is just so special to me but her schedule is really busy and she has two young kids (who I love!) and even though we get to see each other frequently - we never get to have uninterrupted conversation. So truly, having a few hours alone with Angie was an awesome gift! We went to Outback Steakhouse for lunch and then to see the movie The Blind Side (which was awesome!)... and then to Publix to shop for produce and to Walmart to shop for Jamie's birthday party tomorrow. It was a really good girls day out for us! I think I did ok at Outback... I had a side salad - chopped salad with blue cheese and pecans and a small order of the ahi tuna with 1/2 of the little loaf of brown bread. I didn't have any popcorn at the movie! I had a pear and a handful of almonds when I got home.... I have a horrible sinus headache so I am not hungry at all but I know that it's important for me to NOT get hungry so I wanted to make sure I ate. Hope you're all having a great New Year's Day! Hope 2010 brings you health and happiness! You'd be well to get away from Ambien. Too many side-effects, including depression and other bad stuff. Lean towards natural sleep aids like tryptophan and other stuff you can find at hi-health and GNC. Ask around. Valerian Root is a good sleep aid if you can past the smell! Doesn't leave you groggy either. Happy New Year! Last night was my 4th night without a sleep aide and I finally slept! !